by fans the world over. In the wake of his betrayal and abandonment, Keri Ann has had to pick up and move forward with the life she was supposed to live and has put off far too long. Suddenly Jack is back, and his explanations for why he left seem more and more plausible, and his declarations more seductive. But being Jack’s latest tabloid accessory isn't on Keri Ann’s career agenda, no matter how much she is attracted to him. And how can she can ever trust him again? Natasha Boyd is a writer with a background in marketing and public relations. She holds a Bachelor of Science in Psychology, and lives in the coastal Carolina Low country, complete with Spanish moss, alligators and mosquitoes the size of tiny birds. She has a husband, two sons and a host of scared relatives that worry the next book will be about them. She is a member of Georgia Romance Writers, Romance Writers of America and Island Writers Network, where she has been a featured speaker. 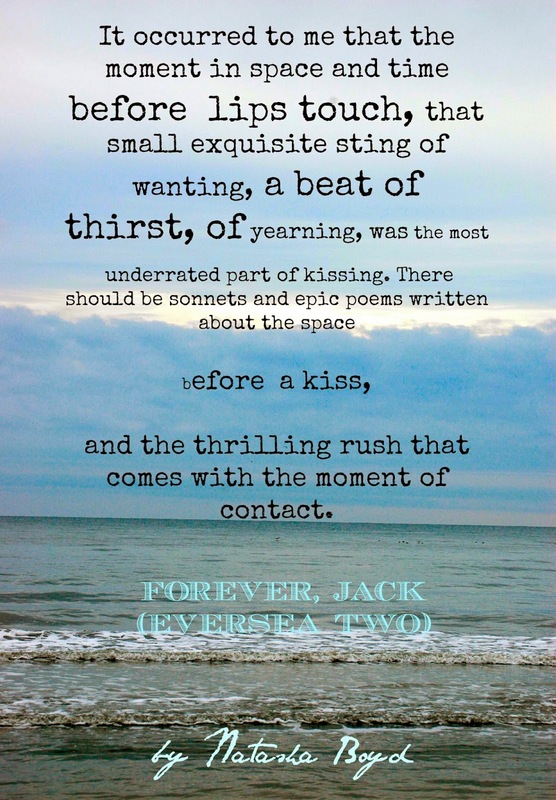 Forever, Jack is the sequel to her award-winning and first full-length novel, Eversea . 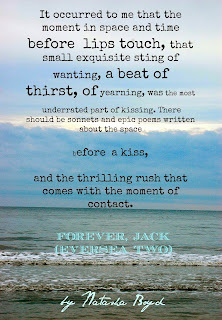 1 lucky winner will get 1 ebook copy of both Eversea and Forever, Jack by Natasha Boyd.